Without a doubt, many of us will say that it is a cat. We don’t have to think about it, really. In a fraction of a second, everything we know and learned formulates this image as a cat. We’ve seen cats lounging in our homes and/or scaling sidewalks and alleyways, or at least seen the cutest pictures of them on the Internet (you really can’t escape them online). When you look at the picture above, you may also be reminded of your early grade school years when we were taught to connect-the-dots or cut out shapes from paper. Fun! All of these things are pulled together to formulate an idea that we choose to believe to be true. We agree that it is an image of a cat. We will even tell our kids that it is a picture of a cat. But what if you’ve never seen a cat? What if you’ve never played connect-the-dots or had to cut out animal shapes from paper? Right, you might be thinking that this person must have been living under a rock their whole lives. 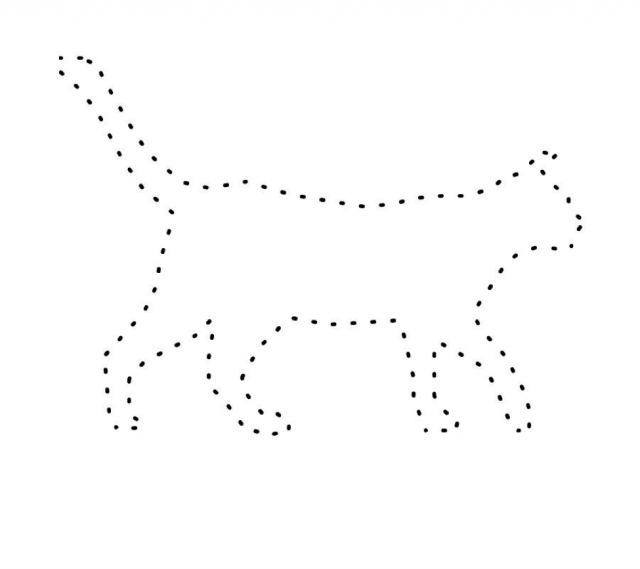 But there are people out there who have never seen a cat, and I’m sure that there are many people out there who have never played connect-the-dots. If they choose to believe that all they see are dots or maybe perhaps an image of a tiger (or some other animal), are they wrong? Are they wrong because they are partial to a different culture than ours and agree to a different set of shared mental maps? Everything we’ve learned to accept as true within our culture weaves together to formulate narratives and beliefs that guide and frame a lot of our values, attitudes, and actions. They become stories we choose to believe. They become narratives that shape the fabric of the meaning of our lives. And this determines the way many people think and make decisions, especially when it comes to giving or supporting a cause. Understanding what and why our audiences believe and value based on social narratives and shared cultural mental maps is story-based analysis. Developing compelling stories that fit within these beliefs and values is story-based strategy. When developing a public communication campaign, it’s important to use story-based strategy in your analysis to help think through and develop messages and images that are relevant to your audiences. It helps to understand and frame narratives that are believable. Sometimes we get hung up on doing an infographic, or creating a brochure, or writing a blog post, and we forget about how those things fit into a bigger narrative about an organization or cause. So, what story is your organization telling? What dominant social narratives does it fit in? What do people already need to know or understand in order for it to make sense? What do people already believe about your cause? For starters, use the basic elements of a good story to develop your narrative analysis and strategy. There can be no story without conflict. It pulls audiences in. Just like we connect the dots to complete an image, audiences want to see and understand how things become resolved. Most organizations, especially nonprofits, are established because the founders see a need, a problem, a conflict. What conflict is your organization working to solve? Where does the tension exist, and how does it impact your audience? We see ourselves through characters in a story. We relate most to stories because of characters, whether they are the hero, the villain, the side-kick or even a messenger of the story. In your story-based strategy, you need to think about who these characters are. Oftentimes we like to place ourselves at the center, as the hero. But what if we place our audience at the center, as the hero of a conflict and your organization as the messenger? This changes the strategy of how we communicate with our audiences. We like to say, “Show don’t tell” a lot here at the Studio. Why? Because images, metaphors, anecdotes, memes, and descriptions capture our audiences’ imaginations. It allows them to be pulled into our narratives. This approach allows our audiences the opportunity to use their own values to draw their own conclusions about a conflict. These elements are also effective communicating to audiences quickly. They also open the door for imagination and emotion — key factors for getting someone to choose to pay attention to you. Images and other story artifacts are often found in storytelling to hint the possible outcome of a story. It is an influential force that gives them direction toward an outcome. It also keeps them engaged. Consider how a narrative arc works — establishing the conflict, rising action, climax, and then resolution. Positioning messages and images in the rising action that hint at a resolution will keep audiences anticipating an outcome they favor. Assumptions are made of the things that audiences already know and understand regarding a story but, to be more specific, our cause. They act as hurdles or bridges to their narratives and help you decide how best to frame your story. How does your organization’s story fit into the audience’s own beliefs and internal narratives? 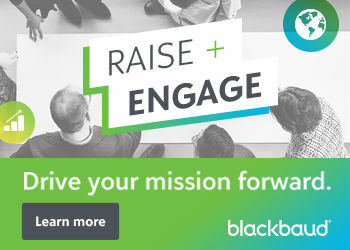 Do you have to challenge or reinforce certain assumptions? What elements do you need to highlight or leave out? After reviewing these story elements, use them to analyze what you are currently communicating to audiences. Then begin to develop a new emerging narrative that fits within your audiences’ own mental maps. This coming year, try to implement a story-based strategy for your own organization. It will optimize your message — which means your communication will be clear and meaningful. Using foreshadowing and addressing assumptions as a storyteller challenges your audiences to get involved and work toward a solution. Sometimes the facts of a cause are not enough to get people engaged: it’s just not meaningful enough to them. Thanks to social media, what we communicate in the digital world today requires context and personalization. It’s what most of us expect. Just like random dots on a page, it won’t mean much to us unless we can form patterns based on what we already know. That is why it is most likely you saw a cat at the top of this page… or at least a tiger.